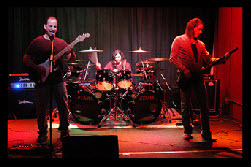 Torman Maxt's guitarist and vocalist, Tony Massaro, answers some frequently asked questions about the band. 1. Is Torman Maxt a Christian rock band? When a pointed question is asked this way, an unequivocal answer is typically expected, so the answer is... Yes, we are a Christian band. The lyrical content of any Torman Maxt song is unashamedly pointing to Jesus. However, with that being said, it is with reservation that we would fly the banner of a "Christian Rock Band" for the simple reason that we believe such titles can create distorted perspectives of our music. For me, describing music as "Christian Rock" is nonsensical because it tells you absolutely nothing about the sound of the band. It only tells you about the core beliefs and values of the people in the band. It seems Christians are the only ones who have their values incorporated into the description of the sound of their music. To be tagged as a band comprised of members who are Christians and write songs that reflect their core beliefs and values in their lyrics is very reasonable. But that is entirely different from calling someone a "Christian Rock" band. There are lots of assumptions with that term, and it has been my experience that in most instances the people who use it are using as a pejorative. I have talked to many music fans and reviewers and it is a common assumption that the word ‘Christian’ before any kind of music is meant to describe a lesser quality second rate version of the real stuff. 2. What does the name Torman Maxt mean? The name dates back to my college days at the University of Florida. I was sitting in class doing sketches of logos with the initials to my name 'Tony Massaro'. I came up with a logo and was quite pleased with it and thought that it would make a great logo for a band. (Of course, I could barely play guitar at the time and was only beginning to take music seriously). So I just started thinking of names with a T and and M and ….Torman Maxt just came out. I decided to keep it because I thought it looked interesting in print plus the name was somewhat obscure and didn’t really give an indication as to what the music might sound like. This was appealing to me. 3. Are you guys brothers? Yes we are. Torman Maxt has always been the three brothers: Tony, Vincent and Dominic Massaro. We are originally from Ft Myers, Florida, and in 1987 we made the cross country move to Los Angeles, California where we recorded several demos before meeting vocalist Martin DeBourge. After recording and releasing our debut album titled ‘Just Talking About the Universe... So Far’, I took over the vocal duties. Martin is still a close friend to this day. 4. How would you define the Torman Maxt sound? That’s a tough question. The short answer is "‘progressive rock / metal" with some qualifications. It is progressive in the sense that it strives to advance past what standard rock and metal have done. Compositionally, I have always been motivated by the classical composers. The Baroque period is my favorite, and I have tried to incorporate various forms of counterpoint in the songwriting. I would say that the layering of the guitars and vocals is what gives us our sound. I have always been fascinated by Bach’s Brandenburg concertos where there are multiple instruments playing different parts simultaneously, with many parts "stacked" on top of one another. I would describe our sound as vertical. For example, the intro on opening track on Problem of Pain Part 1 has six different guitar parts happening at the same time. Because the music is primarily electric guitar based, I think our brand of progressive music leans more towards metal than anywhere else. My favorite bands growing up were Black Sabbath, Iron Maiden, Rush and Judas Priest. 5. Torman Maxt has been around for quite a while. How do you keep the musical thing happening? Wired Magazine ran an article a few years back that did an analysis of great creators and thinkers, (scientists, musicians, architects, writers etc.) and tried to see if there was any correlation between age and creativity. The result was that age had nothing to do with great work. For example, Einstein came up with the theory of General Relativity at age 26. C.S. Lewis wasn’t published until his thirties. The Screwtape Letters was published in 1942 when he was 44 years old. Beethoven’s ninth symphony was written in his fifties. I am an architect by profession, and my favorite architect is Frank Lloyd Wright. He was, because of personal scandal, considered washed up by sixty. However, he did his best and most famous work from the ages of 65 until he died at 92. He was still working on the Guggenheim Museum when he died. ‘Fallingwater’, the home in Bear Run, Pennsylvania, is the most famous house in the country, was designed by Wright at age 69. I haven’t designed my ‘Fallingwater’ yet, either musically or architecturally. That’s a lot of words to say that there is no difficulty keeping the musical thing happening because we love it and it comes from a desire to be artists and not entertainers. It has been my experience that when people get into bands because of the music, they stay involved for the long haul. When people get into it for other reasons they soon fall out. My plan is to keep making Torman Maxt recordings for as long as I am physically able to.